Farsi shekar ast. "Farsi is sugar." This is how Farsi speakers refer to the Persian/ Farsi language. They believe that speaking Farsi is a sweet treat for the tongue. "Persian" is the English translation of Farsi (or Parsi), as the language is called in Iran. The name Farsi derives from the word Pars, which once was the name of the area around Shiraz. That area is the ancestral homeland of the Persian people. Farsi is today spoken primarily in Iran and Afghanistan, but was historically a more widely understood language in an area ranging from the Middle East to India. The Achaemenid kings Darius and Xerxes, from as far back as 550 BC, spoke an early form of Farsi. In addition to being the official language of Iran, and one of the two official languages of Afghanistan, Farsi is also the official language of Tajikistan. Further, millions of Farsi speakers are scattered throughout Central Asia (Uzbekistan, Turkmenistan, and China), as well as across the West. In total, there are more than forty million Farsi speakers, more than fourteen million Dari Persian speakers in Afghanistan, and about two million Dari Persian speakers in Pakistan. Apart from Dari and Tajiki, two languages very closely related to Farsi and used primarily in Afghanistan and Tajikistan, there are a great number of different dialects and accents within Iran. The Tehrani dialect and intonation style enjoys heavy use on national TV and radio stations, and people of other regions in Iran understand and may even be able to speak this dialect with ease. Incidentally, although Farsi is the national language of Iran, it is the first language of only about half of that country's inhabitants. Related Iranian languages, of which Kurdish and Pashto are most prevalent, are also spoken in Iran, and in Turkey, Iraq, Afghanistan, Pakistan, along the old Silk Route to China, as well as in the Caucasus and southern Russia. Iran also hosts many speakers of non-Iranian languages, with Azerbaijani being among the most prevalent. 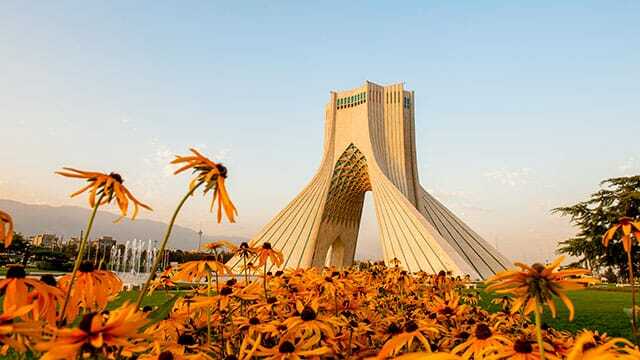 Iran is home to a great number of classical and contemporary poets, philosophers, and artists who have written and created most of their works in Farsi. Knowing Farsi will bring alive the poems of Rumi and Hafiz, the philosophical works of Nasir Khusraw and Allameh Tabatabaei, and the cinema of Kiarostami and Farhadi. Farsi is written in Perso-Arabic script (an expanded Arabic script), in that most letters connect to other letters. These letters have four forms, which are called "initial," "medial," "final," and "independent." There are seven letters which never connect to any subsequent letter, and these have only two forms. It helps to begin learning the script as soon as possible, because sound changes are not reflected in English transcriptions of Farsi words. For example, n followed by b, p, or m is pronounced m.
When learning Farsi script - or any other script, for that matter - remember that language is learned both from the bottom-up and from the top-down. While you need the letters to compose words, you can also learn words and complete sentences without the need to construct them into their single letters. The Farsi alphabet has thirty-two letters, twenty-eight of which are common to Arabic. Four additional Farsi letters represent the phonemes /p/, /c/, /g/, and /ž/ (g as in the French général). These four letters do not exist in Arabic. Farsi has no gender. Nouns do not have gender-specific articles or endings, and undergo no inflection in different cases. Even loanwords from Arabic are usually treated as Farsi words. Verbs can be conjugated easily after learning one set of conjugational suffixes. As far as pronunciation goes, Farsi vowels are fairly similar to their English counterparts. The stress, except in very rare cases, falls on the last syllable (as in French). You'll already know some words commonly used in Farsi: "soup," "team," and "jet," for example. "Mersi" is "thank you" (as in French). Other words have been slightly modified to fit into the Persian sound system; "kelas" is "class." Among the joys of learning Farsi is that it is riddled with emotional expressions which may seem hyperbolic to outsiders. For instance, Farsi speakers frequently refer to the "life force" or "soul" when displaying intimacy or closeness. One person expressing how much they had missed another might say (literally), "My heart has become narrow for you." If equally elated, the other might respond (again, literally), "I would die for you." These expressions are used frequently in Farsi to show affection, especially among females.